which shows how difficult it is to pull off this music, whatever the length of the first movement. That's one of the reasons I'm looking for contrasts and nuances above all. I am pretty sure that someone like Gilels would have been able to play the first movement considerably faster than the 12+ min he took for it. And Pollini who played some of the most fiendishly difficult contemporary music regularly could probably have played it in 8:50 instead of 10:50 (or whatever his recording is). Apparently they thought that it would sound better at a more moderate pace, or whatever. In any case I am pretty sure that it is not merely digital capability that is responsible for some of the tempo choices. I mean that's also quite suspect to me because it shows a deep level misunderstanding & misinterpretation of the actual music. It's not just slow tempi and "majestic" interpretations that do that though, you also have e.g. Michael Korstick ignoring Beethoven's pedal and articulation instructions at the very beginning of the sonata, etc. Red flags. I am pretty sure that someone like Gilels would have been able to play the first movement considerably faster than the 12+ min he took for it. That comment prompted me to play the live recording, it's very poetic. There are clearly lots of slips and so I wonder whether at the time he came to perform it, he really could have played it faster in the first movement. But no matter, I'm glad he took it slowly. I've had a lot of pleasure going back to Gilels this past few weeks -- this Hammerklavier and also a wonderful recording of Schumann's Nachtstucke. Two more, really focusing on the first movement, looking for something more interesting to me that 10 minutes of speed and muscularity -- some sort of mood contrasts. 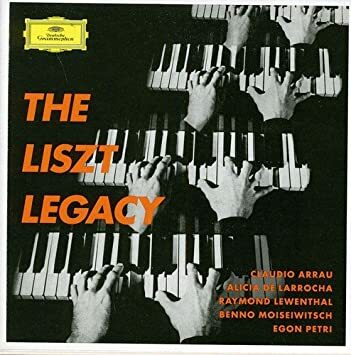 The first is Arrau's first recording, which I prefer to the second, in the box called, for no good reason as far as I can see, The Liszt Legacy. And the second is a real find, by Nikolai Demidenko, a BBC concert recording from the late 1990s. Better I think than his commercial CD. Michael Korstick ignoring Beethoven's pedal and articulation instructions at the very beginning of the sonata, etc. I wonder why he did that, there must have been a reason, and I suspect with a musician of his stature, an interesting reason.